Saving for that all important deposit can be tough – but here’s three winning tips to set you on your way to home ownership, fast! Setting a financial goal will make it much easier to plan and successfully save. Make a conscious effort to track your expenses so you can see where your money’s going and cut back where you can. Small sacrifices such as taking the bus instead of a taxi or bringing your lunch to work can also go a long way towards helping you save. Credit card debt, unpaid bills and personal loan repayments can be major setbacks to your saving efforts. 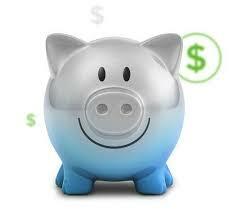 As part of your saving strategy get these debts paid off. Start by paying off your debts that have the highest interest rate – typically your credit card. If you can’t pay it off in one lump sum, ensure that you pay more than the minimum monthly repayment. You’ll not only slash your debt, you’ll also have extra funds to channel into other debt commitments or even deposit savings. Making cutbacks on your life style is one thing, but putting that money to use is another. Remove the temptation to spend your savings by arranging a set amount to be taken out of your pay each month and put directly into a savings account. Shop around, and seek a high interest rate savings account to get the best returns – many banks now offer an online high interest account.